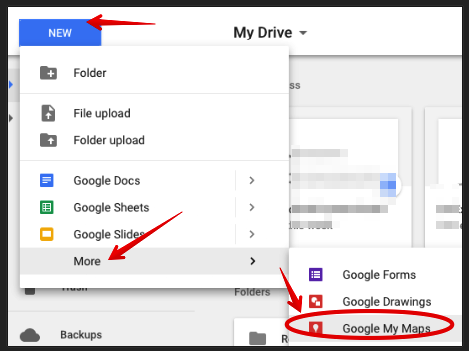 The integration of Google Maps with Google Drive made it super easy for anyone to create and share maps with others. The process is simple and does not require any software installation. Using My Maps in Drive will enable you to design your own customized maps where you can add places, draw lines, add markers and layers, add directions, measure distances and areas and many more. Once your map is ready you can then print it, export it to KML, or embed it on your site using a generated embed code. ‘Make sure you're signed in to your Google Account. 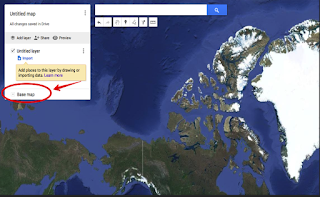 Click New and then More and then Google My Maps. Double click the map you want to open. Find your map and click it once. In the top right, click Remove Remove. Check out Google Drive Help to learn more about how to manage your maps in Google Drive.